Panels are the answer to my prayers sometimes. 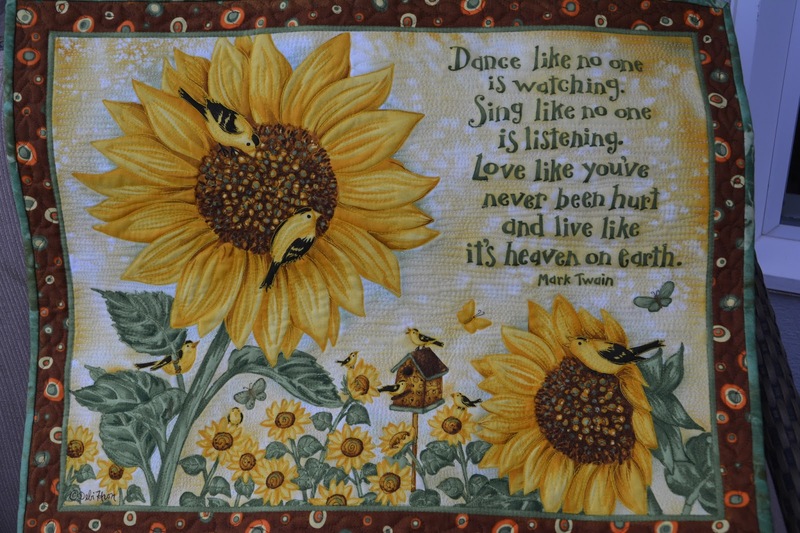 I bought this one in January, knowing my sister would absolutely love it as she really likes the quote it features, attributed to Mark Twain ("Sunny Blossoms" by Debi Hron for SPX Fabrics). 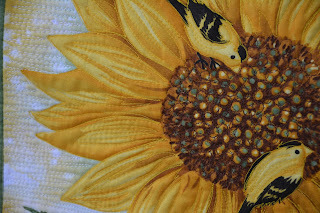 It has taken me all this time to work on it as I was not sure I should use the other blocks that came with it, or if I should add pieced blocks of my own. Last Saturday, my heart heavy with useless concern for the future, I was inspired (how else can I put this?) to work on it. 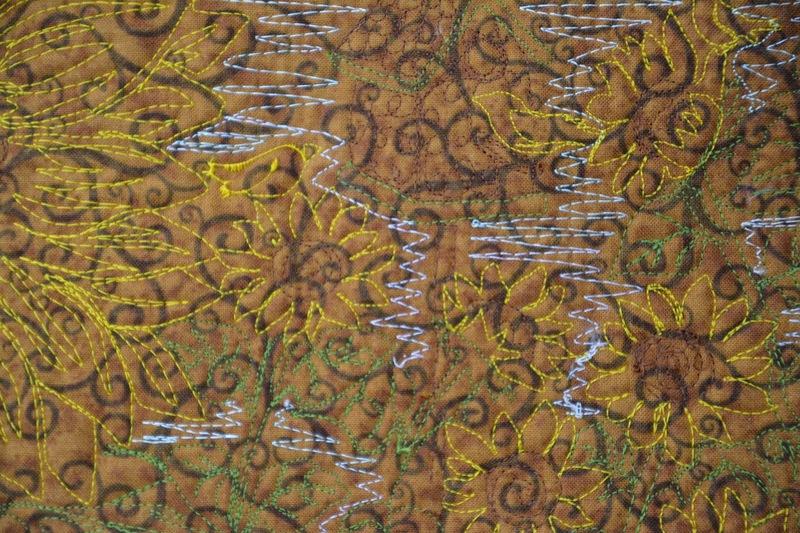 I simply cut out the blocks around the main part, made a sandwich, chose threads, and started free motion quilting this wall hanging. 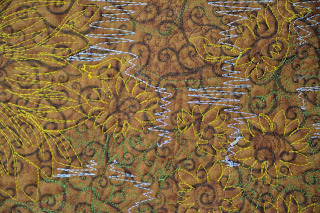 The quilting was not planned, just happened as I went from section to section. 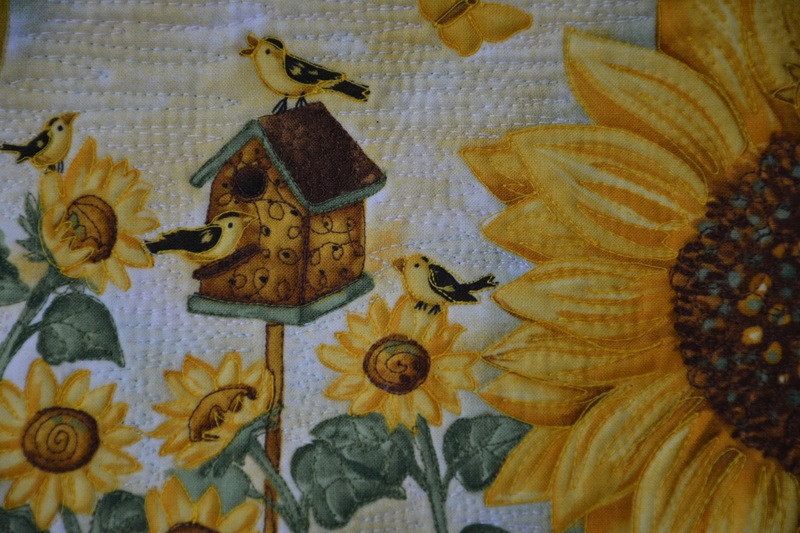 I used Isacord polyester embroidery thread and Sulky on the background, Microtex needle size 10. As I moved the quilt up and down, the only thing that matter was the constant humming of the machine. At times I would move faster, then I would remember to slow down and enjoy each line I added to the landscape. Since it is Spring in Brazil, this quilt will arrive at an opportune time and, hopefully, brighten my sister's days. Although yellow and green are the colors of the Brazilian flag, and are mostly the colors of this panel, I think she will still like it. I mention the flag colors because many years ago it was taboo using those colors in clothing, art, etc., unless you were referring to the flag. In fact, when I moved to the US my first husband bought me a Forecaster rain coat which was green with yellow lining. I wore it, but refused to be photographed in it, and never took it to Brazil... The national sentiment seems to have changed in the 27 years I have been away, though, no doubt due to the influence of the American widespread use of its own flag's colors. 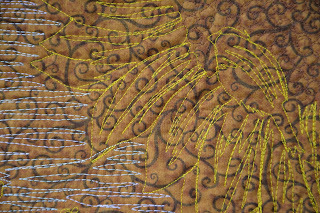 These are details from the back, from where one can really see the thread work. 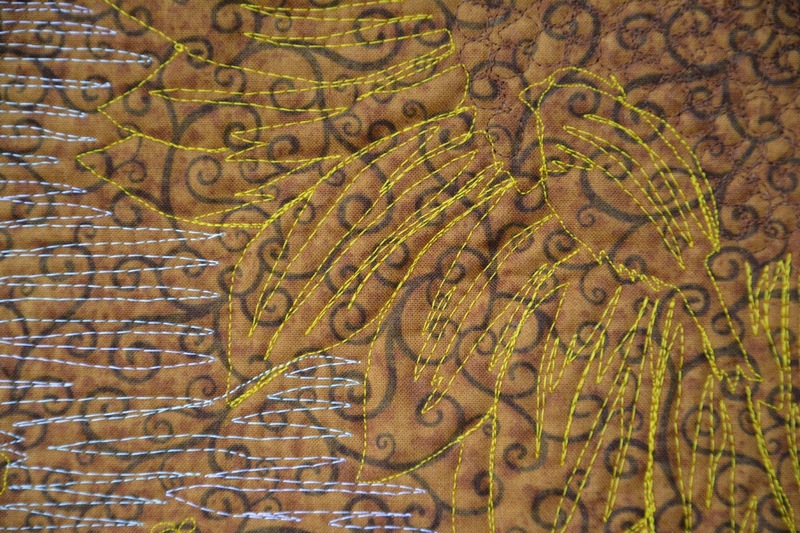 Immediately upon finishing the free motion quilting I felt a sense of peace, hope, and was more apt to just 'go with the flow' of my current life situation. Cute pillow Denise. I hope things are going well. 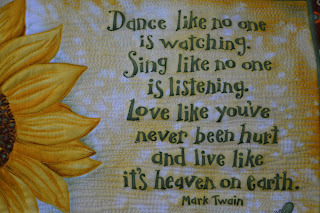 Life is hard and we have to enjoy the good things. Did you figure out your yo's? Great post. 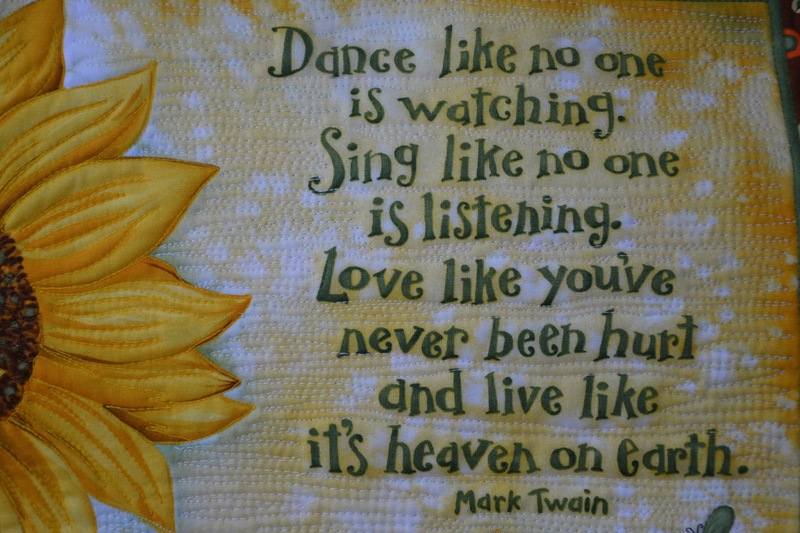 Lovely quote. Peace to you & yours.